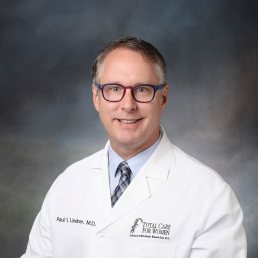 Dr. Paul Lindner is a board-certified obstetrician and gynecologist and has been practicing for more than 20 years. He enjoys all aspects of obstetrics and gynecology care. When caring for a patient he feels it’s important to establish a relationship and understand the reason for each patient visit as well as the best treatment for each patient’s concern. Dr. Lindner earned his medical degree from University of Missouri Columbia School of Medicine in Columbia, MO. He then completed a transitional residency year at Hurley Medical Center in Flint, MI and his residency training in Providence Hospital in Southfield, MI. Dr. Lindner was also previously chairman of Mid-Atlantic Women’s Care.